Fantastic oven spring. Followed my 1-2-3 tripled it so 300-600-900. Added some extra water along the way to enhance the feel of the dough. There is 100g of apple yeast water as part of the liquid. I had some barley grains so I used 50g of those and 100g of fresh milled rye with 150g Red Fife and the rest Arrowhead Mills Unbleached. Dough was laminated 3x and I only let it room temp proof till it was about 50%. Same as last time I shortened the bulk proof due to the YW. 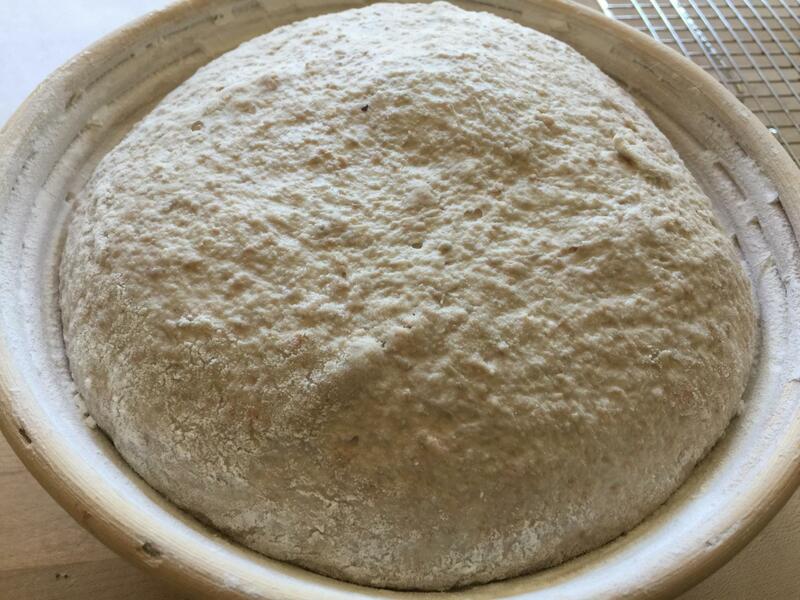 I divided into roughly 2 pieces 900g boule and batard. Minimal shaping and baked " seam" side up ...I don't really do a seam. So pleased with the way these double levains are turning out. You really did get awesome oven spring! Can’t wait to see the crumb! 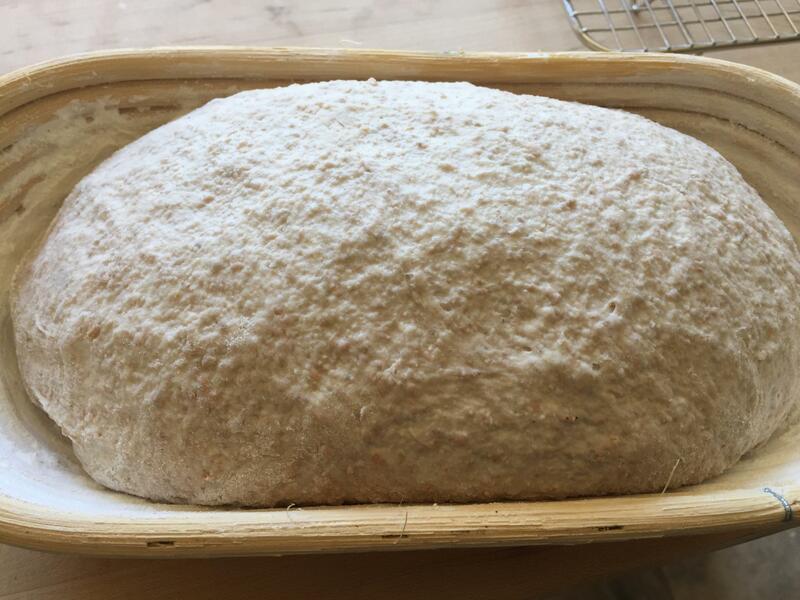 I am also doing a double Levain this weekend. Basically last week’s bread subbing out sesame seeds for the olives and sun dried tomatoes and cutting the Levain in half to figure out if that fixes my chronic overproofing. yes this the best yet. 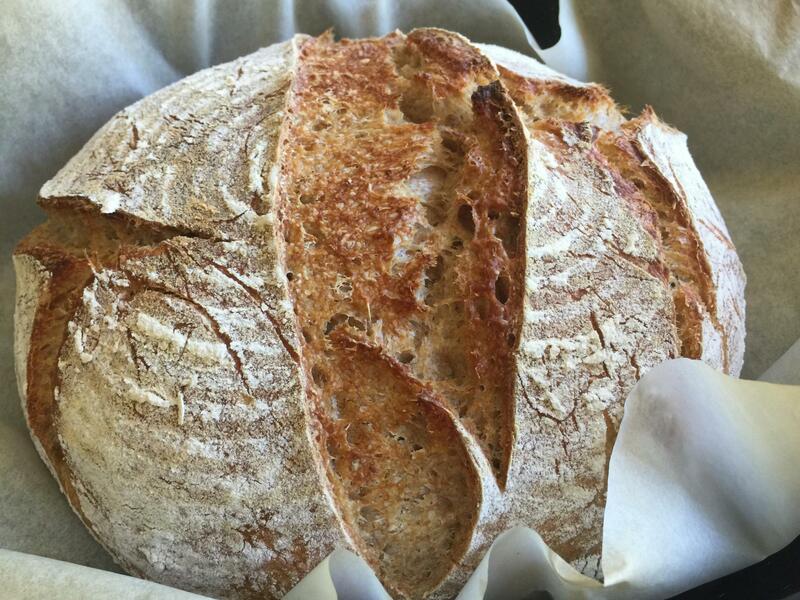 The crust is so crisp and thin and the crumb is perfectly tender. I forgot to add yogurt or honey and can’t tell the difference lol! Really happy with this bake. Look forward to yours as always. yep freshness is one of the many attributes of YW. I will tell you instead of orange peel I put the zest of one lemon in my AYW... wow it smells so nice and the YW really was fast in the batch. Also it’s so interesting that there is almost no fizz . If I shake it and put my ear to it I can hear the fizz but almost no bubbles. So it’s no indication of liveliness for sure as we have noted before. YW. I started mine with with Minneola's from the back yard but took the peels out after 2 days because they will cause the YW to die off because of the oils in the skin are toxic to yeast. Using zest is even worse and the effect will be immediate. Strain the zest out and use the juice instead which will be no problem. I’ve stored my YW for a couple years with orange peel and several others here are doing it also. My YW is always lovely and fragrant and very active. I wonder why yours died?! I am always surprised at the variety of experiences. This is the first time with lemon and it is even faster at rising the bread.... a mystery! Mine didn't die. I just didn't want it to. I wasn't clear I guess. Mine has never lost its fizz...it is just so subtle and no overt " foam" on top like at the beginning of a feeding. As I said if you agitate it there is a very loud BUZZING in the container. I always keep it with a " shower cap" over the jar. I never ever do as those on the facebook page for YW show off ....huge overwhelming FIZZ that is sealed in a jar and the jars regularly explode. I deleted my membership with them...a bunch of crazies !! When I feed it new apples or other fruit it really comes up but them it settles down. It triples with one feeding in 2 or so hours so I am sure it is plenty " yeasty" LOL ! 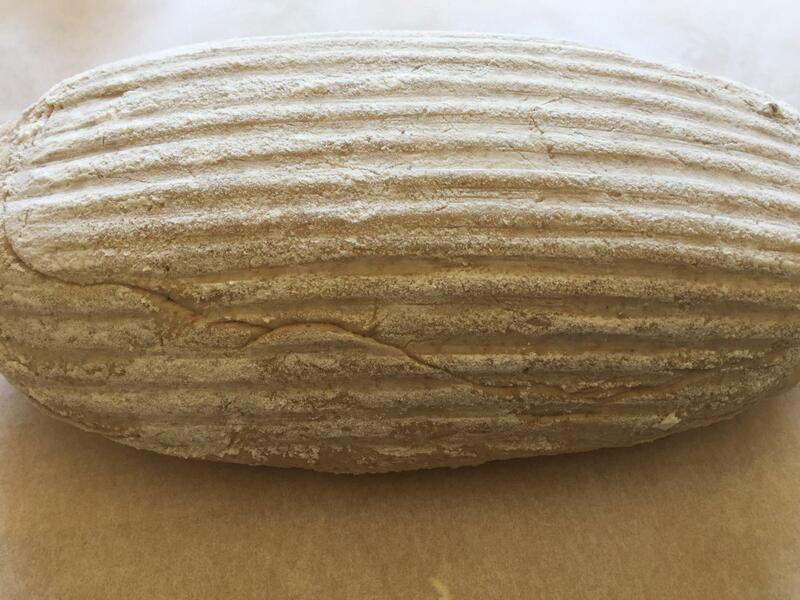 The boule especially looks great. 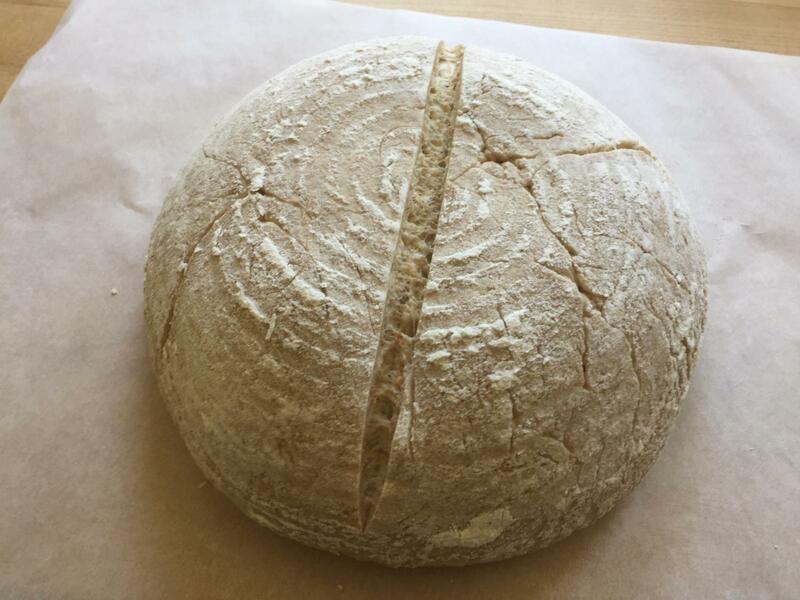 Shaping round loaves isn't my forte so I always love seeing how well other people do with it! The crumb looks great too!! Yum! The fragrance and flavor is really lovely and very wheaty. I am glad I tried the barley. it wasn't much but I think it made a difference as well. 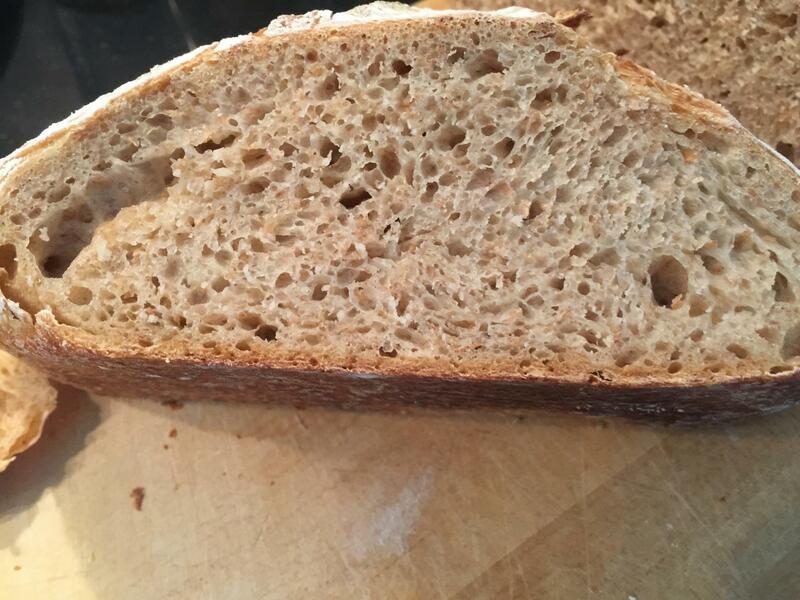 The crumb is very very tender and I didn't remember to put in yogurt or honey so I am pleased at the way it came out. What a pair of beauties. 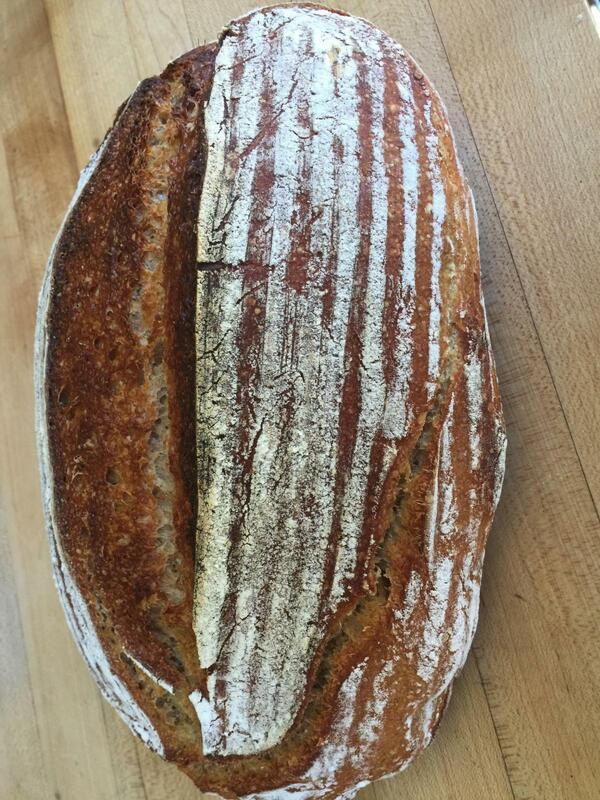 Great shaping and oven spring. I've only attempted a double levain with one from Hamelman's Bread book a few times. Fun, but more work than I felt like doing. It looks like a great sandwich bread, no chance for the mayo to slip through! Using un-fed starter amazing sour!